Dianne Broughton teaches harp and piano including theory, note reading, and technique. All lessons are private and geared to the individual. No musical background is necessary, and students of all ages are welcome. 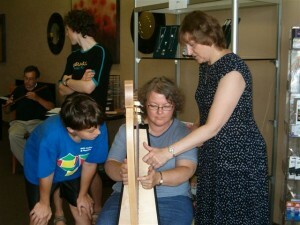 Dianne encourages group participation for students who enjoy sharing and learning in a group class. Her students have participated in the Kiwanis Music Festival, recitals, community service projects such as entertaining the elderly, Christmas concerts and harp circles with harpists from the area. These are wonderful opportunities for students of any level to participate in and to bring the joy of music to others.